Voice Insider is a subscription newsletter by the creators of Voicebot.ai. It is not for everyone. Voicebot.ai produces a lot of free content—more than 50 articles each month, original research, a podcast—so most casual observers of the voice ecosystem are well served with our free content. The Voice Insider email newsletter is for people that are on the inside of the industry, need/want to know the information that will never appear in Tech Crunch and The Verge, or have either a professional or personal obsession with knowing the story behind the story when it comes to voice AI. If this is not you, stop reading right now and check out all of the free stuff on this site. Okay, for those of you that are still here, Voice Insider is a weekly subscription newsletter emailed directly to your inbox. It will inform you about things that voice industry insiders need to know ahead of their peers, competitors, and customers. The Voicebot editorial team realized that we frequently come across interesting information related to the voice industry that doesn’t quite fit into our standard news coverage or research reports. Voice Insider is a channel for us to tell you about information which is useful to know but you otherwise might have missed. Each week we cover a key insight (Think Tank), a pro tip, present a chart of the week (often of data not published elsewhere), discuss rumors, upcoming events and more. And there are some other perks from time to time. If you are interested, you can subscribe through our Patreon page and become a member for about $2 per issue and you instantly get access to all of the previous issues. Also, send us your tips about new hires, people moves, little-known-facts or rumors and more at info(at)voicebot.com. #26 – Voice Assistants Are Officially Pervasive. Now What? Google Actions Grow 2.5X in 2018, but trail Alexa Skills by a Whole Lot. Does it matter? 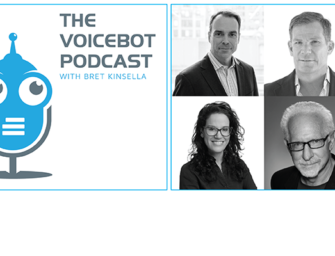 #16 – Are voice assistants a new browser or OS? #4 – Apple Focuses on the Person, Amazon the Place, Google Everywhere; and what do 1P, 2P and 3P mean?